I don’t really think we’re all lazy, but certainly we can make situations look larger than life quite often. We have fear. We have unbelief in the face of uncertainty. We forget that is truly God that takes care of us. I had the privilege to spend time this past weekend with some full-time missionaries from 3 different countries. You know what I noticed? They’re just ordinary people. One lady simply saw a need and God touched her so strongly that she obeyed. She could have been too afraid, and done nothing, but she knew it was up to her to do something. Do you think she had all the answers? Definitely not. Did she have a full understanding of the depths of time, money, and commitment that would be needed to do the work? Absolutely not! The task she undertook could rightly be called monumental. She absolutely did not have the resources to do it, nor did she understand how drastically her life would change as a result of deciding to do something about this need. She didn’t enter that situation as a seasoned, full-time missionary. She did not have the answers. She did not have the resources. She likely did not even have the time. Yet, she chose to obey the touch of the Lord on her heart; and to believe in the One who supplies our every need. Can’t we all do the same? It terrifies me to imagine myself running an orphanage, and being the sole guardian for 57 kids at a time. I would doubt my ability to care for a community that was counting on me to be their source of food. I would feel afraid to go into a tribal village, facing people who practice religions of rage and violence. However, we aren’t the ones who have to have the resources, answers, and abilities. God provides those things. God simply needs us to obey, and to do His work, believing that He will provide what we need. Most of us won’t be facing those situations that I just described today. However, speaking to our co-worker about the Lord can feel just as scary. Sharing God’s love to the cashier who looks like she’s just about to give up, can leave us doubting our abilities. Perhaps, the Lord asks us to volunteer at a soup kitchen, or repair or build a house for someone in need. Guess what? He will equip us. We are all called to simply obey God’s will in our lives. We don’t have to be a full-time missionary to do His work. We are all just ordinary people, children of God, who long to be His hands and feet in our world. If we obey His call, He will equip us for every good work. 2 Thessalonians speaks of one who will come in deceit, proclaiming to be God. Paul reminds the church that they were called by the gospel, for the glory of the Lord Jesus Christ. He urges the church to stand fast and hold the traditions which we were taught, so as not to be deceived. Religious traditions get a bad rap, and sometimes rightfully so. God did not call us to ‘religion’, but to Him. We can clearly read that Jesus didn’t care for men’s religious rules, but for true worship and belief. On the other hand, some traditions are pivotal in keeping us as a true follower of Christ. How can we follow someone we don’t know? Reading our Bible opens our hearts and minds to truly know the Lord. How can we have a relationship with someone with whom we don’t speak? Praying keeps us humble before the mighty God, and open to asking for His own will in our lives. Prayer reminds us who it is upon which we depend. There are deceitful teachings around us that call discretion ‘out-dated’, prudence ‘old fashioned’, and knowledge of God’s Word ‘unnecessary and narrow-minded.’ The Lord reminds us through Paul; however, that some ‘traditional’ things will keep us from being deceived by one who is not the Living God. We were called to believe in the truth, and traditions that enhance our belief are beneficial. I’m not telling anyone to get busy keep man’s rules. I’m encouraging us to hold tightly to the things remind us of the truth of God’s Word, and keep us close to Him. Those are the things that just might save our lives. Need a time of refreshing? You may be way ahead of me on this one, but I never noticed the second part of this verse, “So that times of refreshing may come from the presence of the Lord.” That sure sounds like the Lord I know…Refreshing. I knew we were to repent and be converted so that our sins would be blotted out; however, I never noticed that another promised reward of doing so would be so that times of refreshing would come upon us from God’s presence. I love when I find something new in a verse I’ve read over and over before. When we repent and call the Lord ours He not only blots out our sins, but refreshes us with His presence. I can think of nothing more refreshing than the presence of the Lord. When I am in His presence I can feel pure joy, peace, love, hope, safety, purity, and salvation. Are you in need of refreshing? Not only can God give you what you need, but He will. Being saved by grace offers a refreshing that you cannot find anywhere else. Having the Comforter as your King offers a peace that cannot be duplicated. If you have repented and been converted and you are in need of a time of refreshing, call upon your Savior. He will rain down all that you need. Spend time in His presence and feel His power and His love envelope you now. David drew upon what God had done in the past. God had shown Himself strong on David’s behalf, and David understood that whatever God has done in the past, He can and will do again. David had seen God’s strength and deliverance, and he continued to see God’s might throughout his life. The Psalms are full of prayers and songs about God’s faithfulness, might, and victory. He then says, “As for God, His way is perfect; the word of the Lord is proven; He is a shield to all who trust in Him.” 2 Sam.22:30. The Lord is the same yesterday, today, and forevermore. He does not change. What He did for David, He can do for us. He is the same God. We can look at our lives, and the lives of others and see the faithfulness of God, and know He can do it again. The Lord said if we seek first His kingdom our needs would be added to us. God has glorious riches. God is our Creator, our Sustainer, and our Provider. 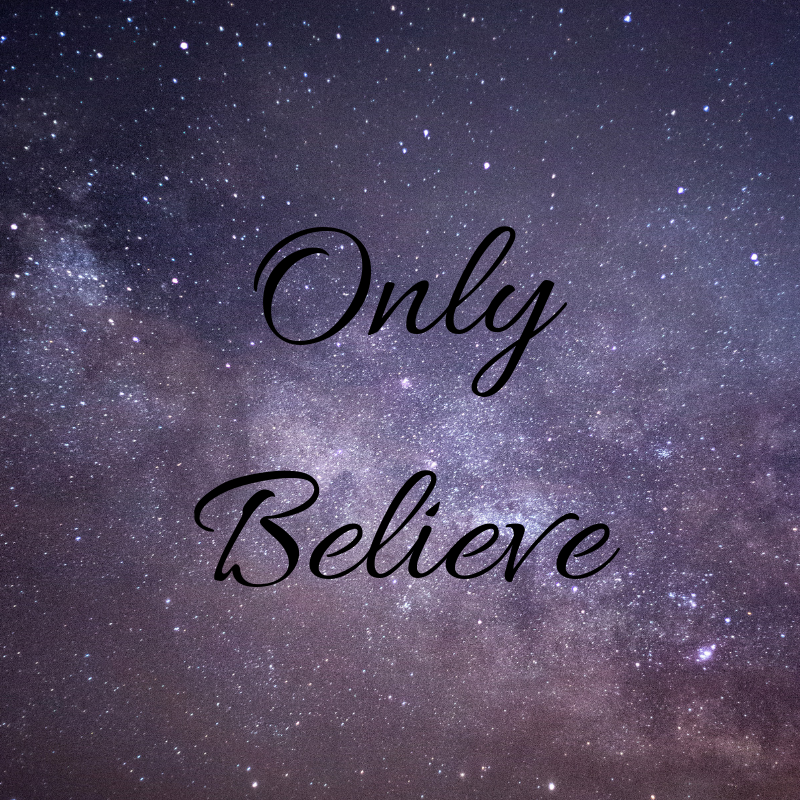 If we only ‘believe,’ as Jesus commanded in Mark 11:24, He will prove His word true and provide all we need and more. We can walk in our calling as children of God. We can believe our Father’s words are 100% true! We can never out give our God. There is a world all around us that is hurting, searching, and in need of a God that will also meet their needs. We have to introduce them to Jesus! We can’t keep Him to ourselves. Test it out today. Have pity on someone and show them the love of Jesus through your gift. I can say with certainty that God will pay you back.